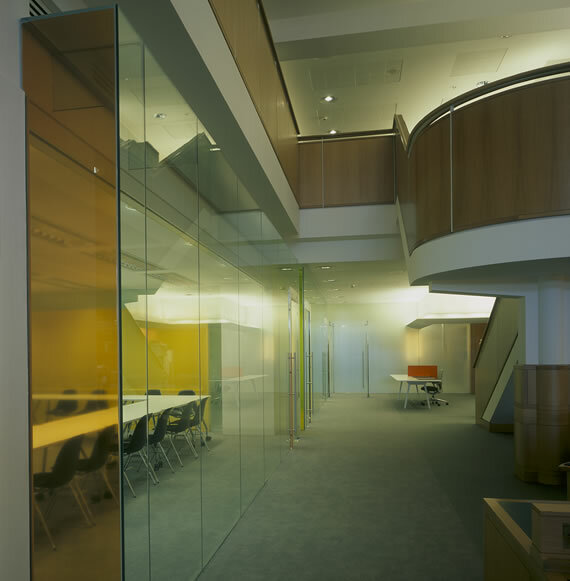 The new Business and Intellectual Property Centre designed by Nick Eldridge is the first architectural project undertaken within the Grade I British Library since the building opened in 1998. 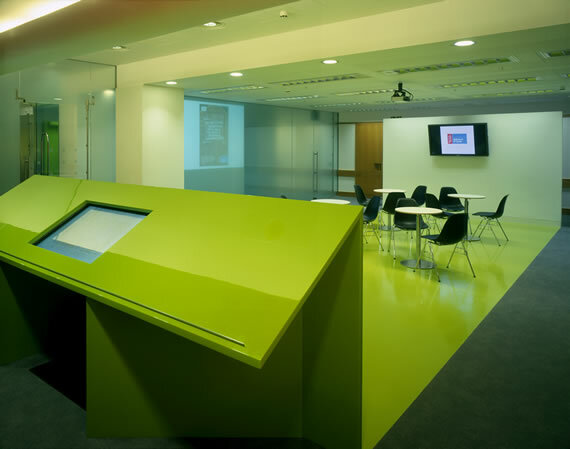 Constructed within one of the existing reading rooms, the new centre provides a unique resource for small businesses, inventors and entrepreneurs to benefit from the Library’s collections and specialist advisors. 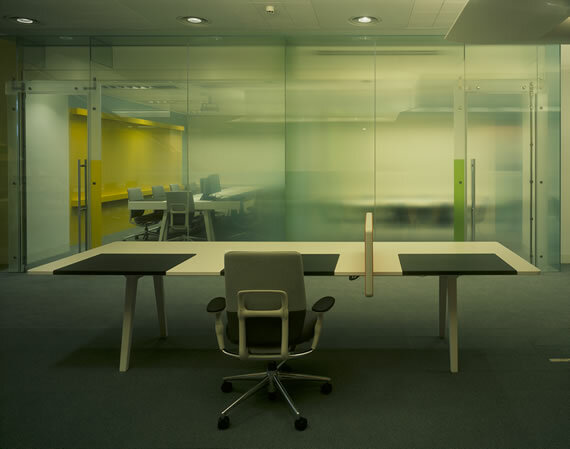 The centre is an oasis of contemporary design and technology within the more conservative environment of the reading rooms but acknowledging the high standard of the existing building, Eldridge London has matched this with materials and detailing of a comparable quality. 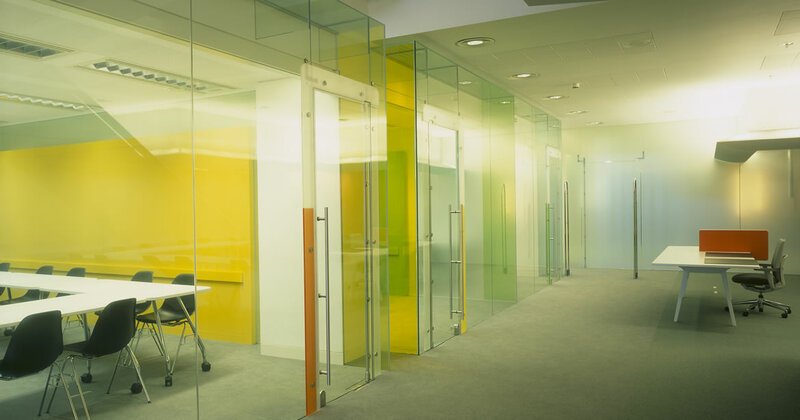 Light weight glass structures define the new spaces, using an innovative glass film which responds to the direction of view. 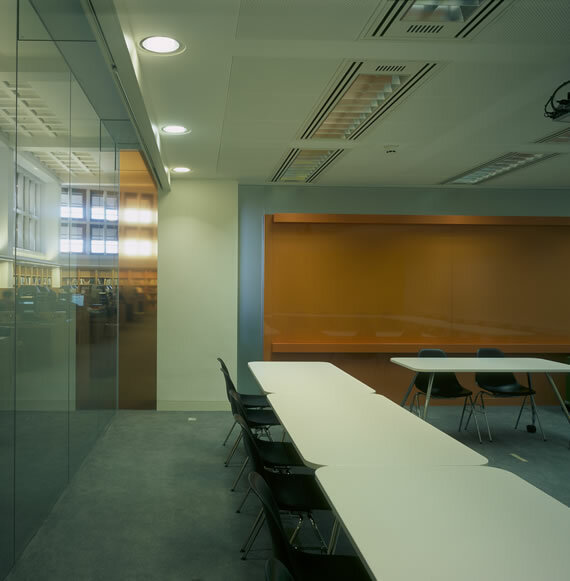 This allows transparency when seen obliquely from distance in the reading room, but becoming opaque when standing immediately outside, thus providing the occupants with privacy whilst still maintaining a connection to the wider library setting.